The “Costa Viola” mountain ridge (Calabria) is exposed to severe geo-hydrological risk conditions, especially in the sector between Bagnara Calabra and Scilla. This sector has repeatedly been affected by slope instability events in the past, mainly related to debris slides, rock falls and debris flows. 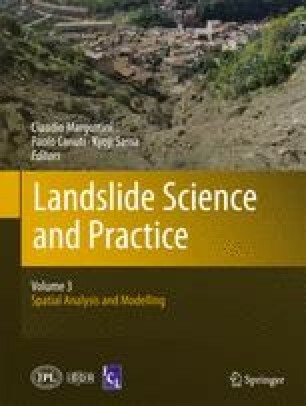 An attempt of shallow-landslide susceptibility mapping has been performed for the mentioned coastal sector through a logistic regression (LR) approach. LR is a multivariate type of analysis that allows estimating the presence/absence of a phenomenon in terms of probability (ranging between 0 and 1), on the basis of linear statistical relationships with a set of independent territorial variables. The adopted LR procedure consists of four steps: (1) variable parameterization, (2) sampling, (3) fitting, and (4) application. Obtained results can be considered acceptable, as 85.6% of cells are correctly classified.